I've decided to start sharing some of my beauty products here. I figured since I'm already buying it then what the heck...I may as well share it, right! I love to play around with makeup and it's been my "I'm bored so let's experiment" thing to do since I was 16. Makeup "wakes up" my facial features and that makes me feel pretty. In order to achieve my perfect face, I must always begin with a good foundation. 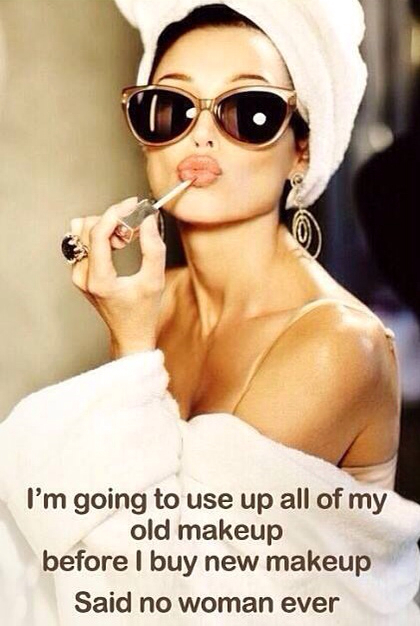 When it comes to foundation I've always been a Mac girl. Chile, no one could tell me that anything was better than my Mac Studio Fix Fluid (I mixed NC44 and NC45). The coverage (I have acne scaring) was absolutely ah-mazing! Unfortunately, after years of wear, I realized that something was always off with the coloring. When I first applied Studio Fix it was the perfect shade but after an hour or so the color would oxidize to a sort of dark orange. 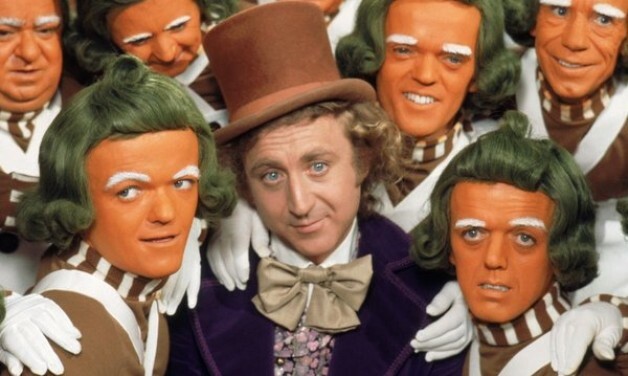 By the end of the day, I looked like an Oompa Loompa! Also,it made my face extremely oily. 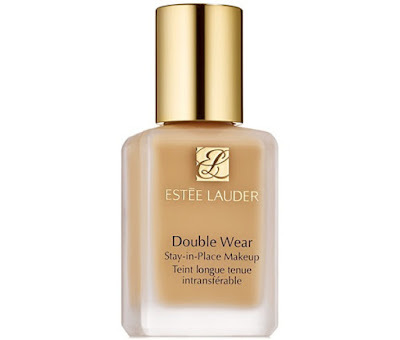 Last year I talked myself into trying Este Lauder Double Wear foundation and Bay-BEE...all I can say is...Yaaaaassss! It's now my "Holy Grail" foundation and I will NEVER go back to Studio Fix. To achieve the perfect color I mix 5W1 (Bronze) with 5W2 (Rich Caramel). Now we all know that department store foundations come with a hefty price tag and because I'm always in-between shades, I have to splurge on two foundations. At $38 a pop that can really add up! 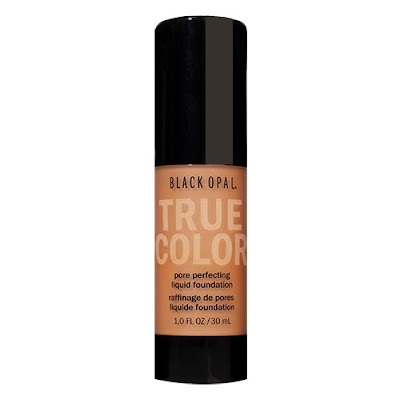 So, in an effort to save, I decided to try (2) budget friendly Black Opal Beauty​ foundations. I'm in the color True Topaz. Pros: I love the coverage and color of both. The price is right! A pump comes attached to the liquid foundation. Cons: I find these to be very oily. I've set both with a powder and still very oily. Lots and lots of blotting throughout the day. I did not use a primer because primer doesn't do a thing for me so is a complete waste of money and time. Overall rating: 7 out of 10. I would recommend. I'm wearing the stick foundation today. I literally just snapped this pic with my phone. It is 100% unedited and you can see the great coverage and color (I did blot before the photo). 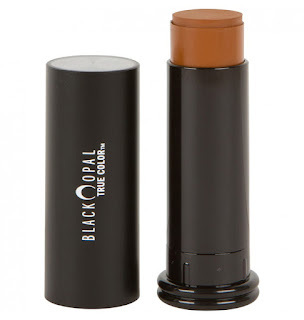 Have you tried Black Opal? If no, Black Opal is offering 20% off if you register and free shipping on orders over $25. If yes, tell me what you think. Finally someone else sees the orange glow that Mac Studio Fix gave to me. 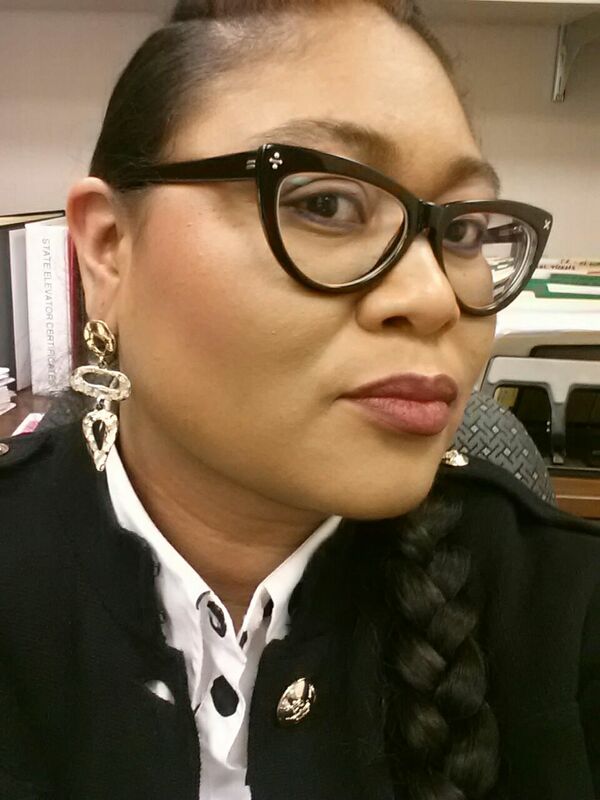 I am now using Bare Minerals complexion rescue & Perfecting Veil and so far it seems to work. I Have not tried Black Opal, but sure will check it out. Thanks a Bunch!! I haven't used there foundation but I may have to try it out.